What is the DC Ceiling Fan of your Choice? Fanco Origin DC – Apart from its November 2017 Choice Rating, the best thing about the Origin is its remarkable shape. The unique curvature of the body and blades moves 13,446 cubic metres of air an hour. But the shape also accommodates an LED light bulb if the base cap is removed. Adding a light to a ceiling fan usually completely changes its shape, but the Origin maintains its look with or without a light. Vento Swish DC – The Swish is sure to turn heads when it makes its Australian debut. Its award winning designer, Karim Rashid teamed up with Vento to create a truly innovative ceiling fan . The Swish’s DC motor and whimsical looping design creates virtually no sound when the fan is in operation. It has a diameter measuring just 48 inches and generates an airflow of 8, 665 m3/hr, proving once and for all that great design can come in small packages. Fanco Eco Silent DC – For a more classical style, look no further than the Eco Silent. Like the Swish, the Eco Silent aspires to make as little noise as possible when it is switched on. There are five versions available in the Eco Silent range. The white model allows the choice of adding a light to either the 48″ or 52″ size. The black colour is only available without a light in the 52″ size. Fanco Eco Breeze DC – Another recent addition to the Fanco range, the Eco Breeze has a tapered motor which creates a pleasing shape. This is particularly true for the model with the light option, as the light lengthens the fan, almost capping off the look. Like all of our other 2018 picks, the Eco Breeze promises to deliver a strong performance. It uses as little as 4 watts on its lowest setting and can rotate as many as 175 times per minute. Fanco Infinity-i DC Ceiling Fan – The Infinity has been upgraded since it first made our list of favourites a few years back. It still has the popular Scandinavian slimline design, but can now be installed on angled ceilings. It also has a light option available. With a damp rated IP rating, the Infinity DC is suitable for both indoor and outdoor undercover areas. Aeratron AE3 & Aeratron AE2 DC Ceiling Fans – This is not the first time we’ve given the Aeratron the nod, but there’s no overlooking this range. The AE2’s design looks deceptively simple but the pair of asymmetrical blades are responsible for the fan’s high airflow. The AE3 applies the range’s signature flicked blades to a 3 bladed model, which elevates the design without complicating things. 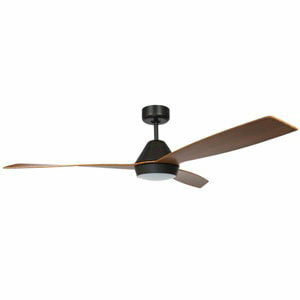 Atlas Irene DC Ceiling Fan – The Irene is another returning champion. Its unique design is inspired by aviation forms, and is available in a wide range of motors and colours. With solid wood blades, the Irene-3 and Irene-4 will stand out in any room. It’s suitable for both indoors and undercover outdoor areas. Mercator City DC Ceiling Fan – With its curved quality plastic blades, DC motor and light option, it is no wonder the City DC ceiling fan is another popular pick for this coming summer. One of the main advantages of the City is its low profile (hugger) design, meaning it is great for places with low ceilings. Mercator Manly DC Ceiling Fan – Similar in design to the City above, the Manly offers the same great features but has a more standard look when installed. Milano DC Ceiling Fan – Well known for its powerful air movement and modern design, the Milano ceiling fan collection is a popular choice for modern homes. Models available with LED light and remote control and varying colours. Mercator Trinidad II DC Ceiling Fan – A striking fan, the Trindad II ceiling fan offers great performance with a modern design. Available with LED light it can be a very functional and beautiful addition to a room. Mercator Grange DC – A steady favourite, the Grange DC ceiling fan is both energy efficient and offers a popular style. AeroDC Quantum DC Ceiling Fan – Configure the Quantum ceiling fan to suit your taste, install with either 3 or 4 blades. The Quantum DC is energy efficient with quiet plywood blades and the option or a warm or cool LED light. With excellent performance, this fan is a solid ceiling fan choice. For those invested in saving energy, the range of DC motor ceiling fans is getting bigger. DC motor ceilings fans are fans which have a DC motor, meaning they can function using less electricity, and then have a converter inside to be able to connect to our normal AC electricity grid. This complicated, and new technology, is part of what makes these fans more expensive than their regular AC motor counterparts. However, saving electricity means you will be savings dollars too! The Aeratron is just about the ceiling fan which uses the least amount of energy. There is a 2 blade and 3 blade model, and they both move a great amount of air. It is super quiet and has a unique, modern design. The Galaxy by Brilliant is a 54” fan with 3 handcrafted solid timber blades whose unique shape create a flowing effect. It has a 36w DC motor and offers 6 speeds giving you a wide range of choice for air movement. 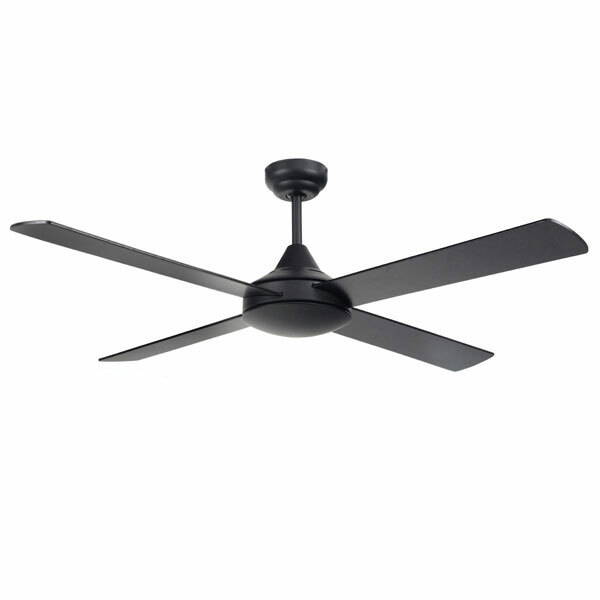 The Grange DC is perfect for those looking for a discreet ceiling fan that will blend in to any space. There is an LED light and no light model, and it comes in White or a modern Brushed Steel. 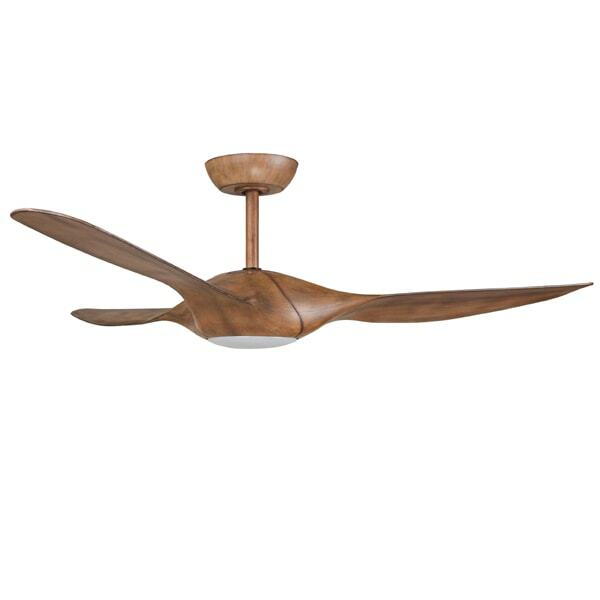 The Regent is a lovely DC fan which will suit a traditional and art-deco style room. It has a Brushed Chrome motor and two choices of blade colour – a natural timber colour, and black. It is also light adaptable. The Eco Motion DC ceiling fan is on its way, bringing a great new option to the DC range. This fan has a simple, industrial style, with 4 metal blades and a 21 degree blade pitch. The great thing about the Eco Motion is that you can get a DC fan with a simple design, the flexibility of with or without light, and importantly, at a very affordable price! Australian brand Hunter Pacific have been producing great quality fans for over 3 decades now, and their latest model, the Radical, is no exception. In addition to having a stunning design and DC motor, this fan is perfect for coastal locations and undercover outdoor locations. It has an impressive 60” diameter with 3 plastic blades. 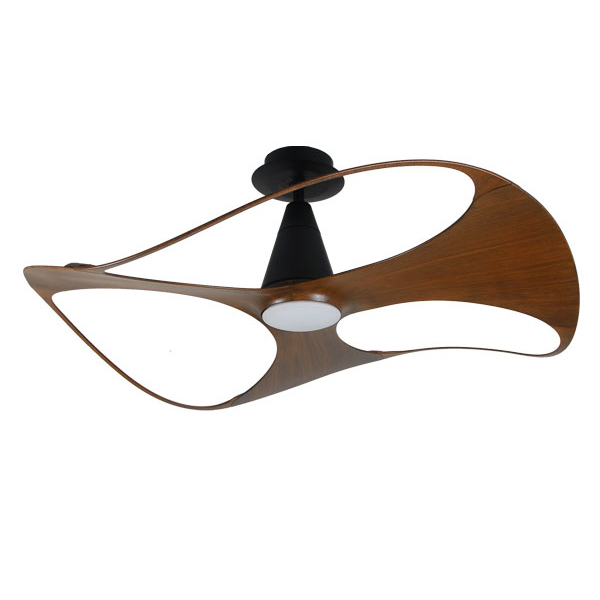 The Whirl by Brilliant is one of the most distinct ceiling fans. It has warped clear blades, and is just 44” in diameter, a great option for those small spaces. This fan may be small, but it will certainly stand out! The Maelstrom brings a DC motor to commercial ceiling fans. It has a huge 84” (2.14m) diameter and 6 metal blades. It is extremely powerful, perfect for gyms, factories and other large areas.